This week, students finished our work on ecology. 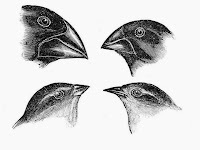 We explored different types of adaptations and learned about Charles Darwin's work with finches in the Galapagos Islands. With a new trimester starting next week, we will start the next section of this year's science curriculum: chemistry!